In support of monitoring and evaluation practitioners, researchers, and students, this guide offers practical tips for measuring women's and girls’ empowerment in impact evaluations. This toolkit provides a set of resources that implementing partners can use to obtain data on women's access and usage of mobile phones, and other connected services. 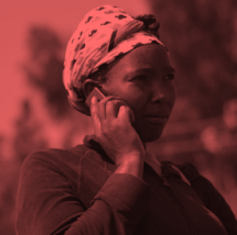 This report combines quantitative and qualitative data to identify where gender gaps exist in mobile money, reasons for these gaps, and four recommendations for mobile money providers to better target women.